Roll out the red carpet: this year’s Bonhams London to Brighton Veteran Car Run supported by Hiscox will feature another premiere… and, appropriately, this time the magical marque making its debut on the world’s longest motoring event is a Premier! Founded in Indianapolis in 1903, the Premier Motor Manufacturing Company quickly earned itself a reputation for producing technically advanced cars. The company’s early claim to fame was the use of an oak leaf on its radiator badge, which it said was the first use of an emblem as an automotive trademark. The badge also emphasised Premier’s engineering philosophy by proudly bearing the words ‘Quality Car’. The company initially built automobiles with air-cooled engines and, like many other pioneering motoring firms of the era, used motor sport to promote and improve the brand including starts in the local Indianapolis 500. Despite producing more than 10,000 cars before being taken over in 1926, very few Premiers have survived the rigours of time. 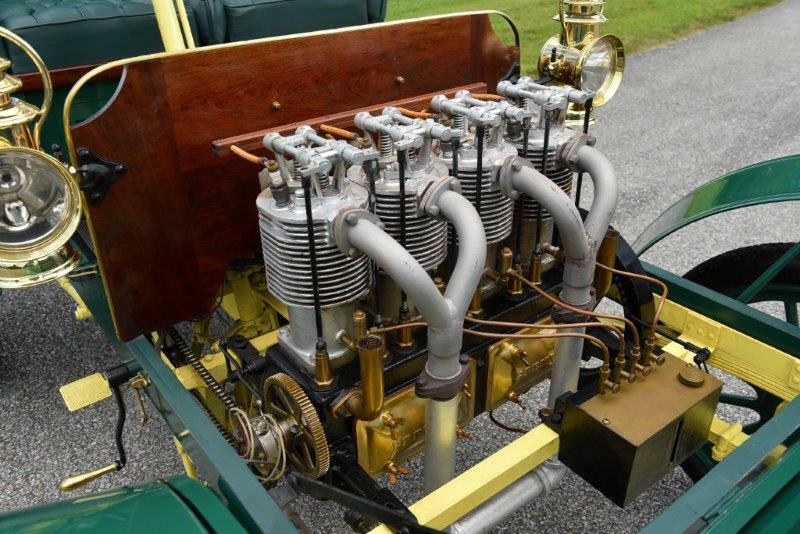 Indeed, just a couple of early pre-1905 models eligible for the famous Veteran Car Run are known to be in existence. One of these ¬– a twin-cylinder 16hp example – fittingly resides in the Indianapolis Motor Speedway Museum; the other has recently been restored and is coming to London for this year’s Regent Street Motor Show Concours d’Elegance (3 Nov) and the following day’s legendary trip to Brighton. Now looking resplendent in Brewster Green with canary running gear, this four-cylinder Model F was found in tired but substantially complete order during the late 1980s. It then underwent an exacting restoration based on the information available, and a new rear-entrance body was constructed in keeping with period images. Although at the time an application was made to the Veteran Car Club of Great Britain for an official dating certificate, the handsome Premier never actually crossed the Atlantic to take part in the Run. 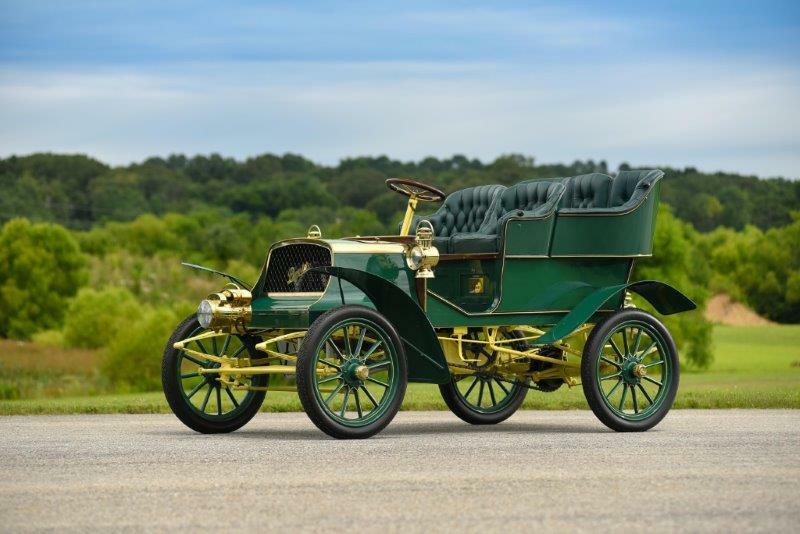 The car, though, was offered for sale at last autumn’s Bonhams auction at Quail Lodge and its new owner, Elkhart-based businessman Steven Haines, is now bringing it to these shores. The Premier should give Haines a good run to the Sussex coast, too. Dating back to an era of single-cylinder planetary-transmission cars, the forward-thinking Model F featured an overhead valve four-cylinder engine and a sliding gear transmission. Contemporary advertisements described it as offering a speed range of five to 40mph and promoted its sizeable 10-gallon tank, offering a 182-mile range – ample capacity for the 60-mile trip from capital to coast. The Premier isn’t the only venerable motor manufacturer making its premiere in November. It will be joined on the ‘rookie roster’ by an equally significant Vabis – a Swedish rarity and the seed that spawned globally-renowned Scania. As in recent years, the Bonhams Veteran Car Run supported by Hiscox provides a fitting grand finale to the Royal Automobile Club’s busy London Motor Week – during which the Club presents an array of functions and events, a highlight being the free-to-view Regent Street Motor Show, now held annually on the Saturday immediately before the Run. 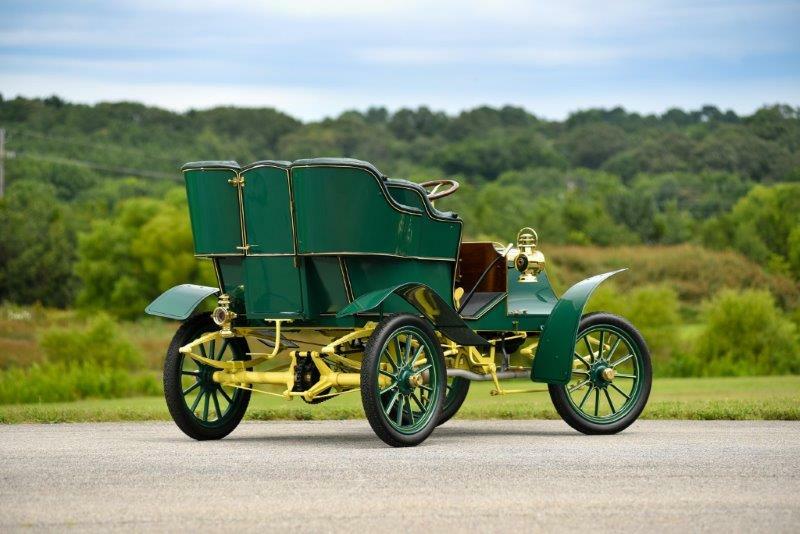 The renowned auctioneer Bonhams will host a special Veteran Car Run sale on the preceding Friday afternoon with an exciting selection of veteran cars and related memorabilia coming under the hammer.